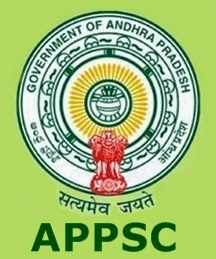 APPSC ASO Notification 2019: Andhra Pradesh Public Service Commission (APPSC) recently come up with Assistant Statistical Officer (ASO) notification 2019. Interested and eligible aspirants can send an application for APPSC ASO posts 2019 through online at psc.ap.gov.in. The organization accepts online applications from 12th February to 6th March 2019. Hence hopefuls having suitable eligibility criteria can hurry up to apply for APPSC ASO jobs 2019. Candidates can go through all the details such as eligibility criteria, application process, selection process, and other details from the APPSC ASO Notification 2019. Andhra Pradesh Public Service Commission (APPSC) is the state government organization that releases various notifications every year. APPSC has recently released a notification for 79 assistant statistical officer posts. Candidates having suitable eligibility criteria can apply for the assistant statistical officer posts. Applicants must possess a graduate degree in statistics, mathematics, and commerce or as mentioned in the notification. Age limit of applicants must be 18 to 42 years. Age relaxation will be given to the reserved category candidates as per norms. Hopefuls having the eligibility standards can apply through online through APPSC official website, psc.ap.gov.in. Candidates willing to apply APPSC ASO jobs 2019 can check more details from the following article. Zone-I: Srikakulam, Vizianagaram, and Visakhapatnam. (SKM, VZM, VSP). Zone-II: East Godavari, West Godavari, and Krishna. (EG, WG, KST). Zone-III: Guntur, Prakasam, and Nellore. (GNT, PKM, NLR). Zone-IV: Chittoor, Kadapa, Anantapur, and Kurnool. (CTR, CDP, ATP, KNL). Age limit of applicants must be 18 to 42 years. Age relaxation will be given to the reserved category candidates as per norms. Candidates who are going to apply APPSC ASO jobs 2019 must have to pay the requisite application fee of Rs 250/- through online using debit card/credit card/net banking options. General/BC candidates: Rs 250(application processing fee) + Rs.80 (Exam fees). Candidates can fill the online application at psc.ap.gov.in from 12th February to 6rh March 2019. Lately sent application forms will not be accepted. Hence the applicant’s cam get ready with the necessary scanned copies of documents, scanned signature, and photograph to apply for APPSC ASO posts.